Jen Grosshandler is returning to GO as a presenter for her second year, and shares with interviewer Devon Bacso about her new GenderCool project and its origins. I’m presenting on how transgender children are thriving across the country. The idea is to show a different spotlight on raising transgender children for families inundated with an unfortunate amount of negative and tragic information. That there are thriving, talented transgender children and that their children can follow along the same path. What is the GenderCool Project? The GenderCool Project is a story-telling campaign that, for the first time, aggregates stories of incredible young people showing who they are, not what they’re labeled as. We focus on children ages 11-16, and the fact that they identify as transgender is the least interesting part about them. They are award-winning writers and entrepreneurs and aspiring Broadway actors. How did you become inspired to create The GenderCool Project? My first time attending Gender Odyssey was three years when, as a parent of a transgender daughter, I was in the throes of learning about what the resources were for raising confident, strong transgender children. The families I met there were so amazing. I felt really excited when I left knowing that my daughter had a path to follow. So when I came back to Chicago, I had an idea forming that I need to help in a really big way. I couldn’t find widespread representations of talented, successful transgender children, so I combined the start I got at Gender Odyssey with my marketing background and my connections to launch the GenderCool Project. What is the importance of the GenderCool Project? We know the most important thing we can do as parents is to support and celebrate our children, so when we tell these positive stories, two things happen. The first that it provides an alternative to the enormous amount of negative and tragic content for these children. The second is that millions of people who have no direct connection with transgender children see the stories. They’ve been telling us, we had no idea that these young people were like this, because the only information they get is from TV or what our administration is telling us, and that’s all really negative. The GenderCool Project is changing the conversation around gender and is bringing people into this conversation in an easy, non-threatening, and positive way. What advice would you give to people hoping to become involved? Come to our website to be part of the campaign! In the next four months, we’re rolling out community-wide programs that provide clear suggestions for creating change in your own community, whether that’s attending school board meetings or writing letters to the editor. Within the next nine months, we’re also launching a video platform that’ll allow young people to create their own GenderCool videos that we’ll host on our channel and promote across platforms. Our young people are absolutely changing the conversation. The greatest thing that we’ve been able to do with this campaign is to create the right platform and structure, and then get the heck out of the way. Gender Odyssey was truly the birthplace for The GenderCool Project. It was here that I realized the dynamic, positive future my own daughter Chazzie could have. I feel like the community that attends Gender Odyssey is a superhero blend of kindness, intelligence and expertise in areas that matter the most to families raising transgender and gender fluid children. 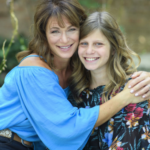 Jennifer Grosshandler is a marketing veteran and proud parent of a 12-year-old transgender daughter, a gift that has inspired her to become a national advocate and speaker intent on shedding light and levity on the gender conversation. In February of 2018, Jen helped launch The GenderCool Project—an awareness campaign and nonprofit spotlighting exceptional stories of the accomplishments of transgender youth. Jen is also on the front line of school policy work for gender inclusive schools in Illinois, helping to lead the charge in multiple school districts, representing more than 35,000 students. 2 Comments on "Spotlight – Jennifer Grosshandler"
Congratulations on your great work with the Transgender community. As well as your love and support for your daughter. Awesome! I’ve seen positive work on gender issues in the schools where I teach, so it’s great to highlight these positive stories.